Former Massachusetts Gov. William Weld gestures during a New England Council 'Politics & Eggs' breakfast in Bedford, N.H., Friday, Feb. 15, 2019. Weld announced he's creating a presidential exploratory committee for a run in the 2020 election. Former Massachusetts Gov. 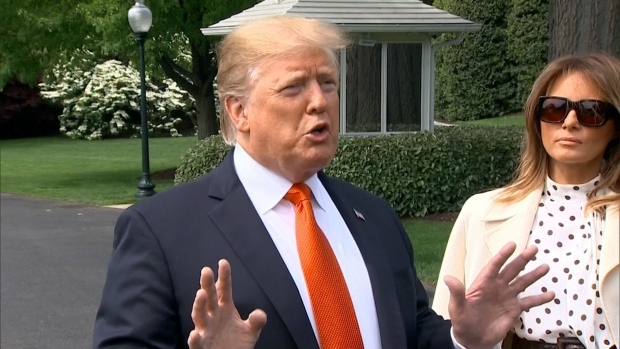 Bill Weld is planning to spend much of the week in New Hampshire as he mulls a challenge to President Donald Trump in the 2020 Republican presidential primary. Weld is scheduled to meet with Gov. Chris Sununu and former New Hampshire House Speaker Doug Scamman. He'll also meet with survivors of domestic and sexual violence and attend a house party hosted by former New Hampshire Republican Party Chairman Fergus Cullen. 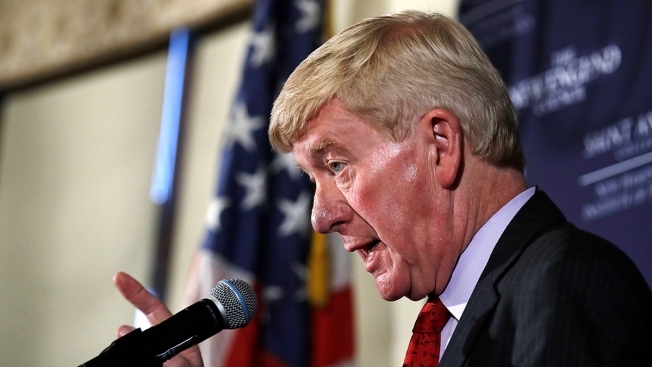 Weld faces a tough challenge winning over Republican voters. During the last presidential election Weld swore off the party and became the Libertarian Party's 2016 vice presidential nominee.